Who's ready to get cooking? This week's menu has everything from seared salmon, to veggie tacos to stuffed peppers. We're hungry just thinking about it! 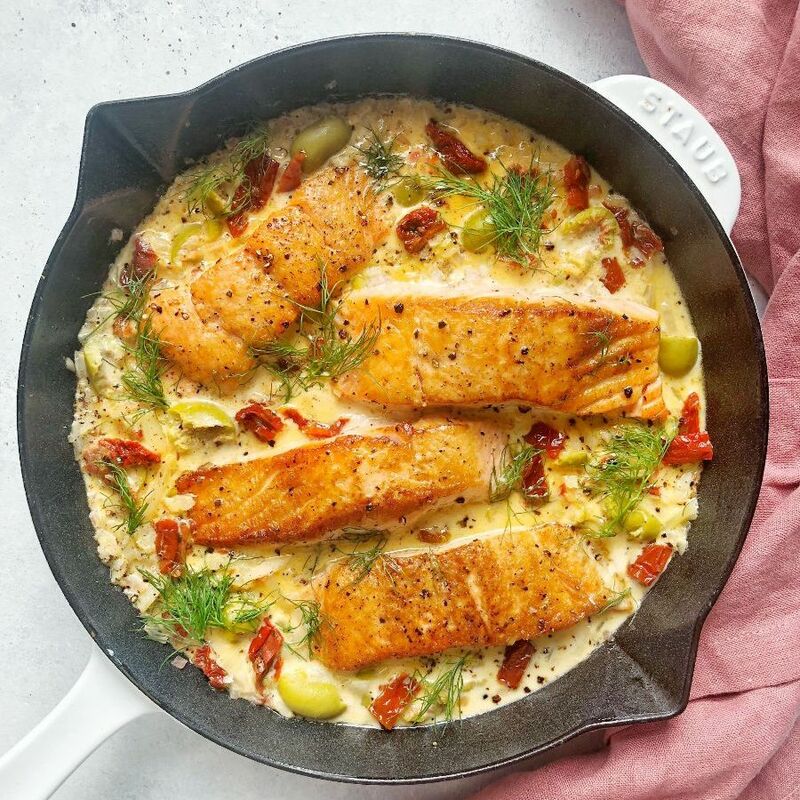 This one skillet dinner has it all! 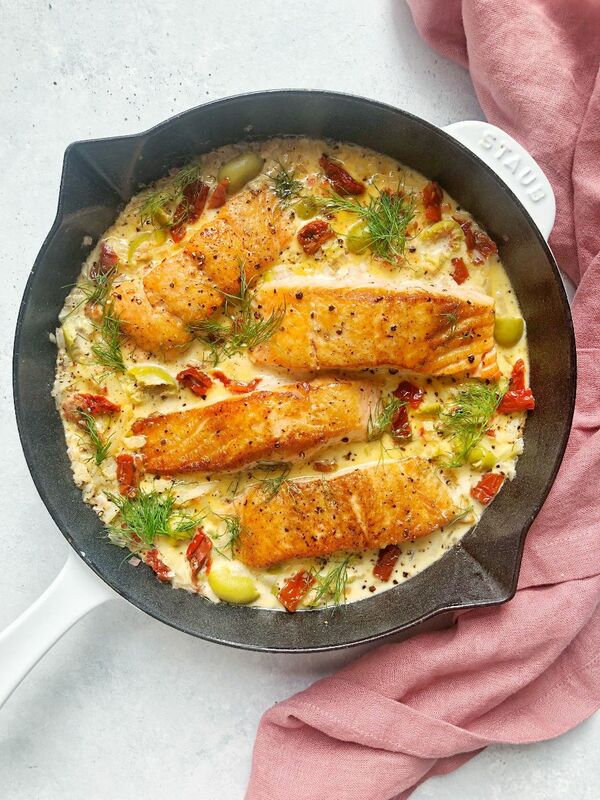 Rich salmon, sweet fennel, salty olives and sun-dried tomatoes in a creamy sauce. Feedfeed Tip Save some fennel fronds for garnishing the finished dish! We used Simply Organic Five Spice Powder to bump up the flavor of this tofu. It's become one of our favorite weeknight go-to's! Watch us make it here. 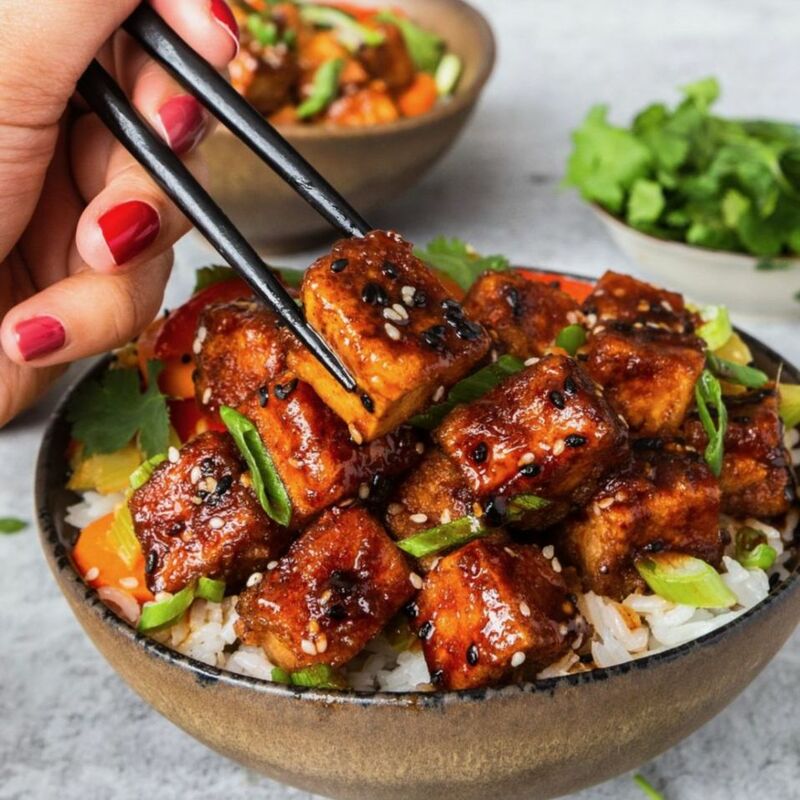 Feedfeed Tip When you are making crispy tofu, be sure to press out any excess moisture and use cornstarch to coat the tofu before pan-frying it to give it a nice crunch. #TacoTuesday never looked so fresh & vibrant! 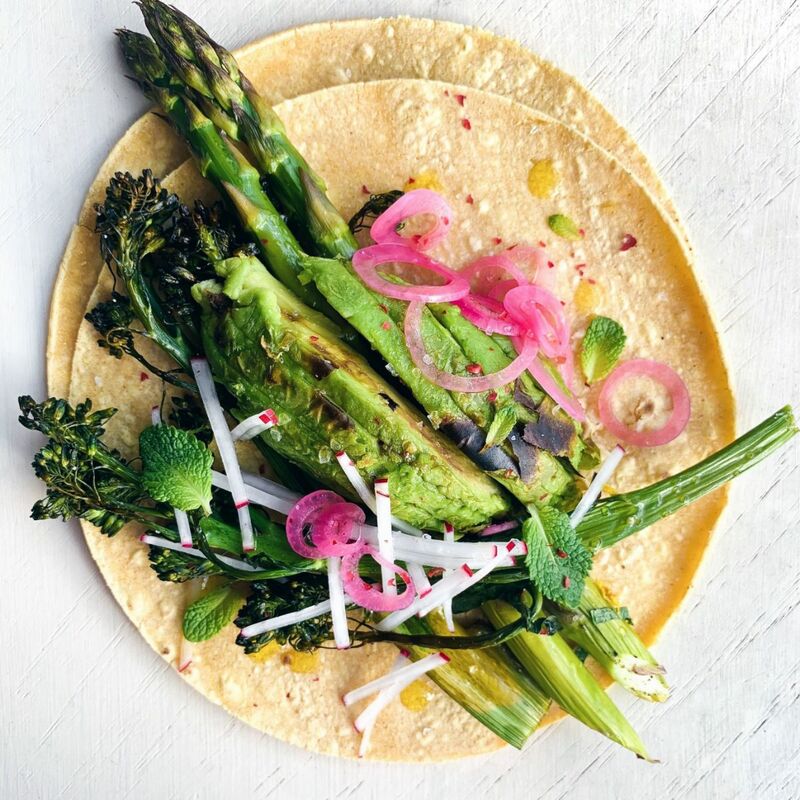 Feedfeed Tip Not feeling asparagus? Use whatever veggies you have on hand or are in the mood for. 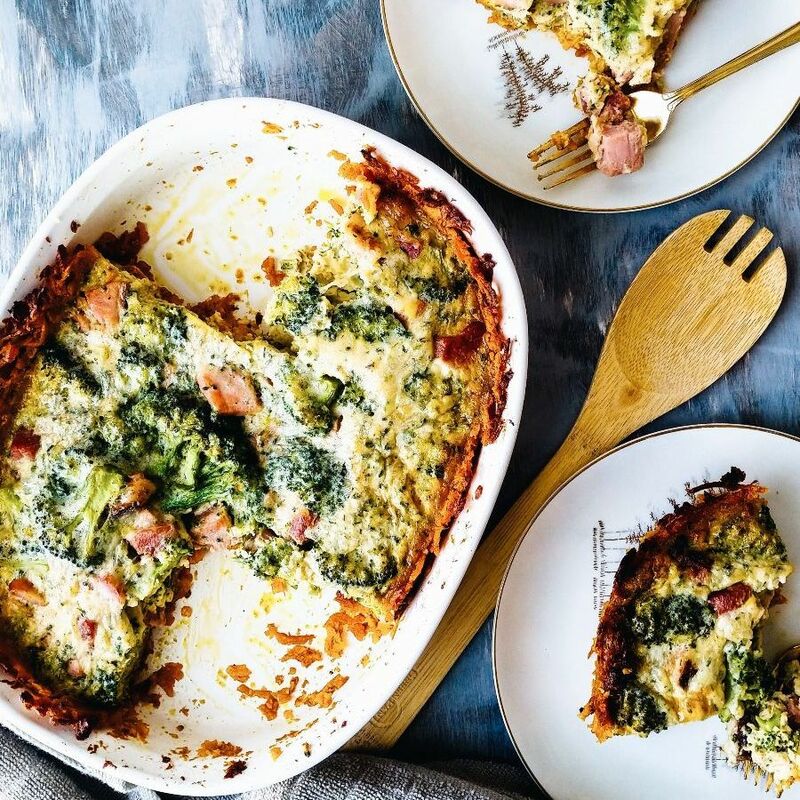 Once you try this veggie packed quiche, it will become a weekly staple! 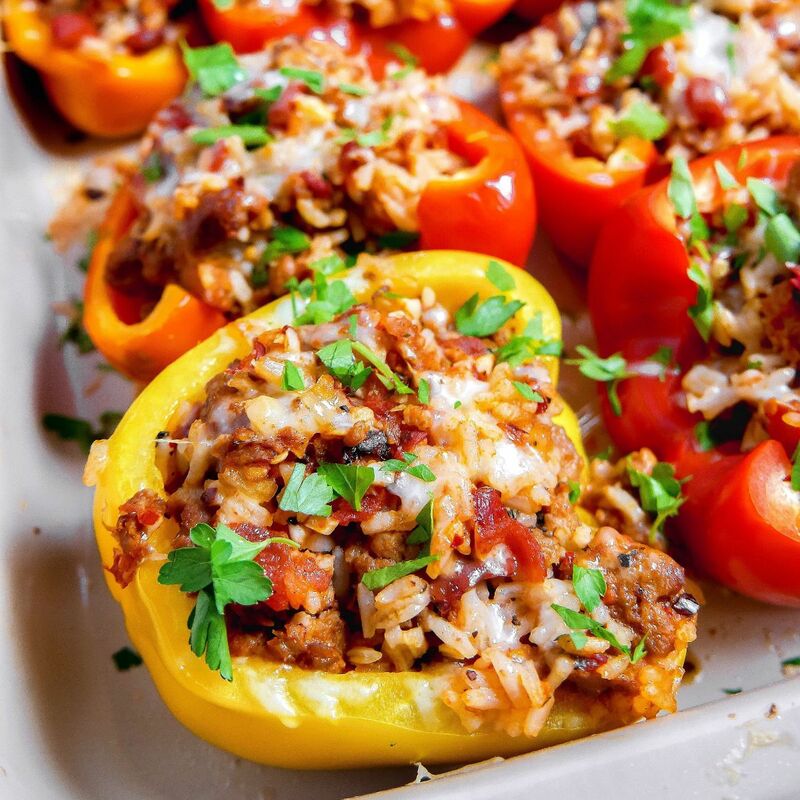 We love the the spice that Hot Italian Sausage lends to this dish, but feel free to use mild if you prefer. 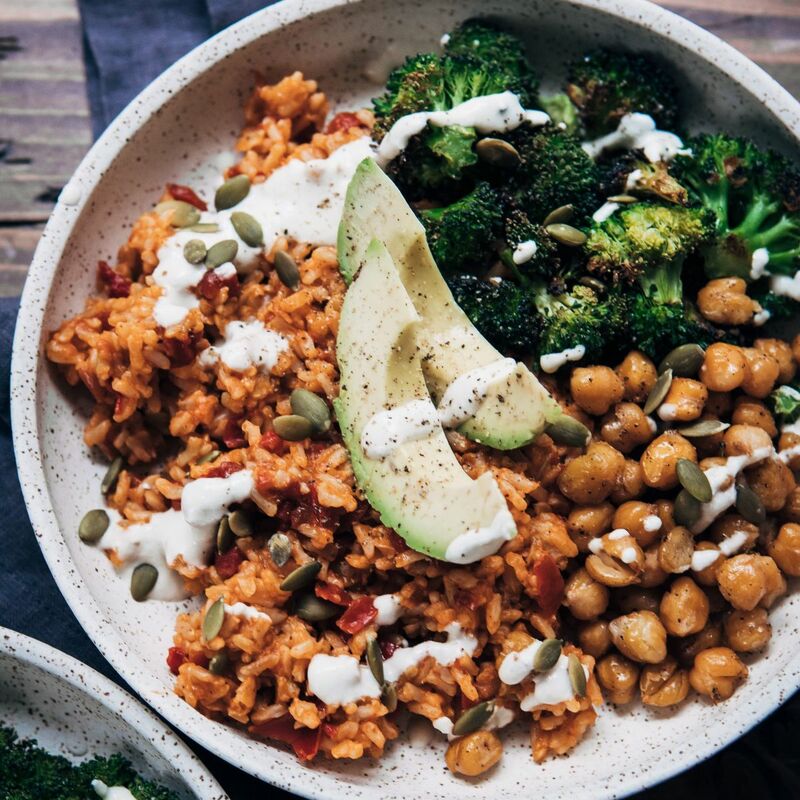 Head into the weekend with these hearty veggie & protein packed rice bowls. 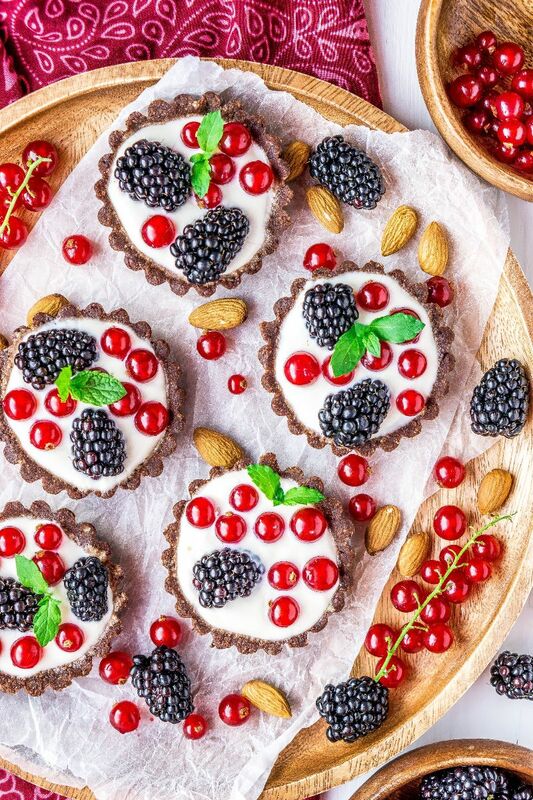 No Bake + Chocolate = Music to our ears! Feedfeed Tip If you can't find red currants, feel free to use whatever fresh berries are available to you.